> doing it right now. All the best. I've highlighted the numbers '1' ( | ) and '2' ( || ) in your image (above) with the blue circles. As you have noted in your diagram, the hieratic number 4 (in much later dynasties) could be represented with a single horizontal line. Two such lines would represent the number '8' (as your diagram shows). 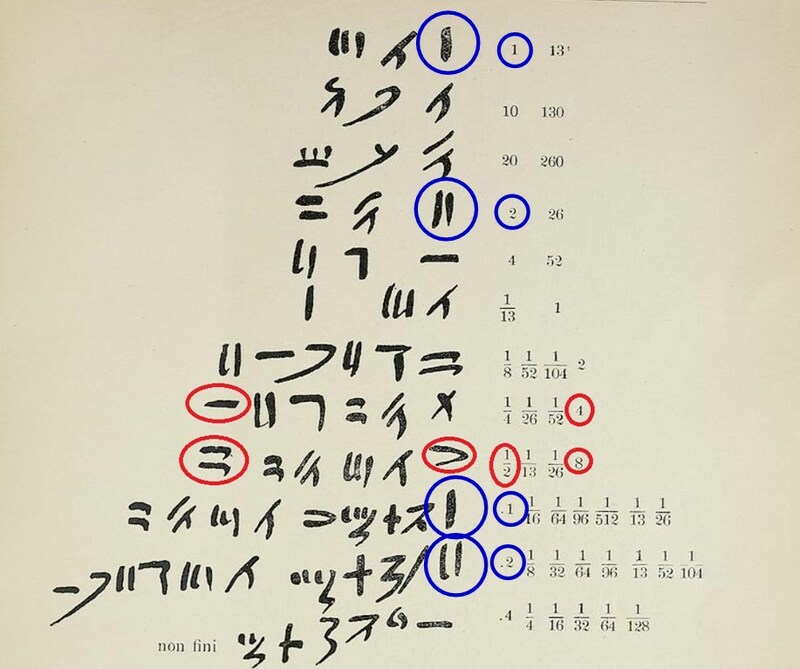 As you can plainly see in the image above, in the period these marks were being made, the scribe wrote the number '4' not as a single horizontal line but with 4 separate lines (Cheops 79). Likewise, the number '8' is represented in this period with 8 separate strokes (Cheops 76) and not 2 horizontal lines. 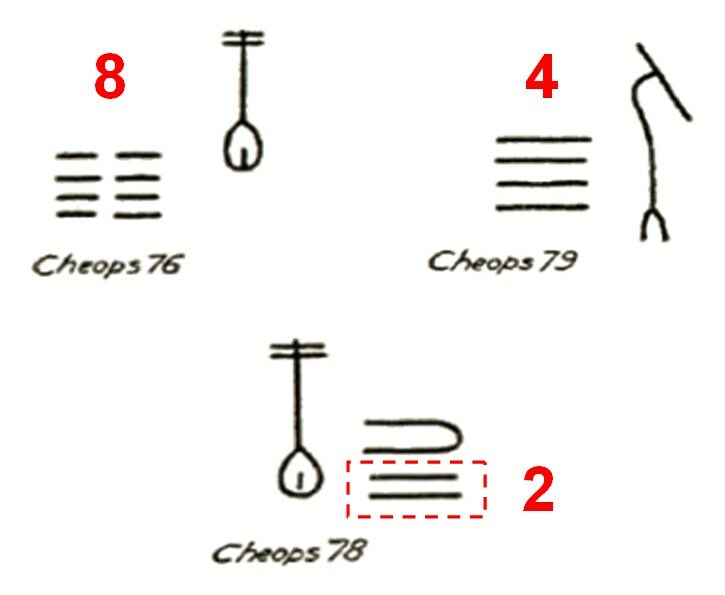 What this, of course, implies is that the lines shown in Cheops 78 cannot be the number '8' (which would have been written with 8 separate strokes) so, logically, these two strokes must represent the number '2'. 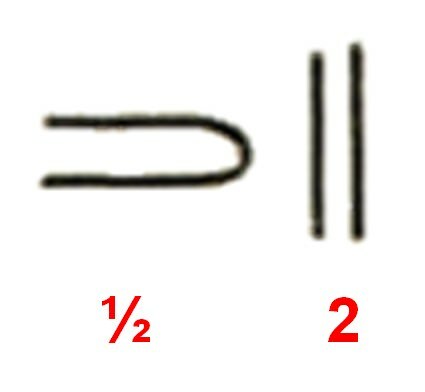 The fact that the signs in Cheops 78 (the '||' and the 'n') share the same orientation, effectively disproves that the sideways 'n' can be the '1/2' sign. Thanks for the email and your help in trying to bring a more scientific approach to the proceedings here. However much we may agree or disagree, it is all in the pursuit of knowledge and historical truth. Edited 1 time(s). Last edit at 16-Jun-18 10:40 by Scott Creighton.